Even a joyful holiday ballet like The Nutcracker nods gently towards madness, darkness, and fear: in the dangerous Mouse King, first and foremost, and also in the mysterious magician and uncle, Drosselmeier. E.T.A. 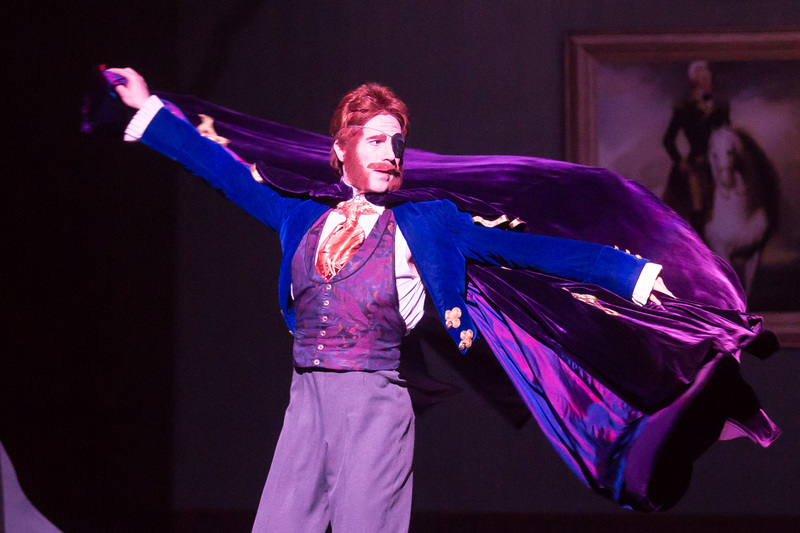 Hoffmann’s story – on which it is based – tells a darker story than Tchaikovsky’s ballet. Darker yet is Gregory Maguire’s new novel Hiddensee: The Once and Future Nutcracker. Paul Vasterling, Artistic Director and CEO of Nashville Ballet, stops in at Bacon today to share his thoughts on Hiddensee – and The Nutcracker generally. The Nutcracker is a part of every American ballet dancer’s life, usually from school age to professional. I did my first version of it in my very small hometown in suburban New Orleans when I was 16. I’ve danced, performed, choreographed and directed in different productions for the 40 years since then! The storyline of the ballet, which was originally inspired by a 19th century E.T.A. 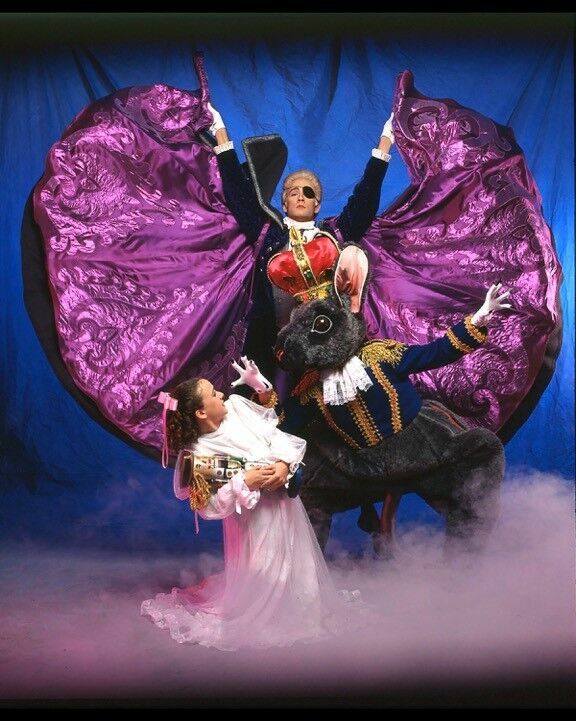 Hoffman fairytale, has been adapted in a myriad of ways, including my own version Nashville’s Nutcracker. In all the versions I’ve experienced, the mysterious character of Drosselmeier looms large. Who is this somewhat strange (in some versions very strange) man who shows up with a bag full of magic tricks to entertain the children and adults at a turn-of-the-century Christmas party? And from where did this magical doll, a Nutcracker, come? Since I acted and danced the role for seven years in numerous performances of Nashville Ballet’s production of The Nutcracker from 1991 till 1997, I had the opportunity to explore these questions many times. My thoughts about the role included Drosselmeier’s essential otherness and cracked specialness. He was definitely the unique uncle who showed up mainly at the holidays with a different world view and a very active inner child. I grew up on the bayou in Louisiana in a large and wonderful, but not overly artistic, family. I was a ballet dancer. I could relate. So, I was intrigued and excited to see Gregory Maguire’s Hiddensee: A Tale of the Once and Future Nutcracker, on the shelf at Parnassus recently, just in time for what we in the ballet world call Nutcracker season. Maguire, who specializes in creating backstories to famous fairytales (like Wicked about The Wizard of Oz and Confessions of an Ugly Stepsister about Cinderella, to name just a few) has tackled many of our most famous ballet stories. In Hiddensee, he creates an entire narrative around Drosselmeier’s life, confirming and greatly expanding upon my own thoughts around this enigmatic character. Maguire skillfully weaves the various familiar characters and names into a layered new story with some interesting and clever surprises, forming a generational history of the Stahlbaum family (yes, the central family in all of the Nutcracker ballets) and their somewhat lost, old family friend. In Hiddensee, Maguire dives deep into Drosselmeier’s past – a foundling boy living in a dark Bavarian forest in the 1800s. He eventually leaves “home” after a terrible accident (which explains the eye patch) and journeys into the real world, though he struggles to get close to anyone because of his precarious upbringing. Subconsciously, because he struggles with human connection, he channels his energy into carving wooden Nutcracker toys. Drosselmeier may still be a bit of an enigma at the end of Hiddensee (I think he always will be), but reading Maguire’s backstory offers intriguing context for this character’s fascination with the Nutcracker. That’s one of the special gifts of The Nutcracker—nobody is ever really old when sitting in the audience and getting lost in the magic. Particularly for adults, it sparks childlike wonder and beautifully nostalgic memories of youth. Beyond all of this, there’s another takeaway from Hiddensee that’s especially relevant this holiday season—if Drosselmeier can overcome the challenges of his childhood and ultimately become a conduit of hope, wonder and imagination, then everyone, too, has that same power. For tickets and show times, click here. Celebrating 10 years of awe-inspiring magic and dazzling holiday cheer, Nashville’s Nutcracker will ring in the season with additional characters and all-new magical elements. A truly local production through and through with clever nods to the city’s sparkly past, Nashville’s Nutcracker epitomizes the holiday season in Music City. To celebrate 10 years of Nashville’s Nutcracker, we are adding all-new magical elements, including letting it snow in the audience! Fantastic post from two of my most interesting friends! Paul Vasterling brings wonder, imagination, creativity and leadership to Nashville. We are lucky to have you on the team, Paul! At 71, I experienced my first ballet ever, Nashville’s Nutcracker, amazing! I didn’t even know the story. 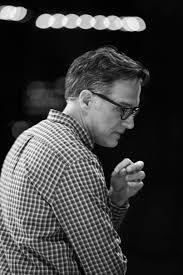 Paul Vasterling made the story come to life, such a beautiful experience, thank you. So special for me too was to see a dear friend, Mollie Sansone as the Sugar Plum Fairy, such a beautiful performer. Thank you all for such a memorable evening. Catching up on posts . . . Cannot wait for the magic again, next year. Wonderful post, Paul and Bacon!